Drat! Mr. V. cut himself again. Working on the homestead is not without its risks, that's for sure. To stop the bleeding, I turned to a commonly found kitchen spice! Did you know that you, too, probably have all kinds of spices that can double as medicinals right in your own kitchen cupboards? Honey is one of these popular healing foods, but this article is all about healthy spices you have on hand! Yes, there are plant medicines likely just a few steps away! And when they are used daily as a tonic, or even for some acute situations, you can improve your health and wellness? I have a friend who faithfully makes his own blend of "Wellness Tea," and he drinks it every day. He uses commonly found kitchen herbs in his tea, and he is never sick! He's got the immune system of an ox...and I believe that's due to the herbs he uses! One of the herbs in his mixture is thyme and rosemary. You can even grow both of these herbs indoor all year round so you have them available all the time…..
Over in Europe, it is very common for people to use herbs every day as tonics and also for acute situations---it's an every day thing! These days in America, it's just too easy to reach for those expensive, chemical-laden, and potentially dangerous over-the-counter (OTC) drugs. Even though they are not prescribed, they often have side effects that can't be ignored! People in our country have been brainwashed to run to the drugstore and buy some "pills" to help their problem, when using natural herbs and spices you already have will often actually work better! When you start using herbs, you quickly find out how much power you have over your own health! And the absolutely amazing thing is that you probably already HAVE some of these herbs in your kitchen RIGHT NOW! FTC Disclosure: This article contains affiliate links. This means that if you click through and make any kind of purchase, I may earn a small commission at no extra cost to you. 14 Dual-Purpose Herbs Everyone Needs in Their Kitchen to Start Your Own Kitchen Pharmacy! Number one, Anise is beautiful! It's seed pods form a star shape, and for that reason alone, I love Anise. However, this lovely herb is warming and has stimulant properties...meaning that it enhances the actions of other medicinal herbs. It's a carminative, so it's great to use for stomach and digestive upsets. Anise also helps support the respiratory tract, has mild anti-cramping properties, and may help support lactation in women. In addition, Anise tastes pretty good too! It tastes a bit like licorice, only with a more smoky hint. We are all used to using black pepper along with salt to spice up our foods, but did you know Black Pepper has some pretty strong medicinal qualities too? It's a very warming and stimulating herb, and is important for enhancing the abilities of other herbs, Turmeric especially! In India and China Black Pepper is considered one of the super herbs for daily tonic use. Black Pepper helps with circulation, to increase energy, and to help the body fight off colds. I personally add Black Pepper to just about everything I cook! Cardamom pods are quite exotic. You can also buy it ground, a much easier way to use this herb. Cardamom is a very strong-tasting spice, and most people either love it or dislike it. Cardamom is one of the main spices in Chai Tea blends, and adds a unique sweet-spicy flavor. Medicinally, Cardamom has carminative and stomachic properties, and is helpful for flatulence, indigestion, and nausea. Cardamom helps settle the stomach after eating a lot of acidic foods, too. For stomach upset or nausea, make a tea of Cardamom, Ginger, and a bit of honey. It's delicious cold too! Here's a recipe for Chai Tea that my friends and family absolutely love! Cardamom is one of the spices. Cayenne peppers are lovely. When dried and ground, the orange powder is very potent. No kitchen is complete without Cayenne Pepper. Besides adding that delicious hot, spicy taste to foods, Cayenne is a POWERFUL Herbal Super Hero! Cayenne is a strong promoter of the circulatory system, and it is thought to help speed up the metabolism as well. In fact, it is one of the ingredients in the Master Cleanse, and has been for many years. Cayenne is also a wonderful warming pain reliever, when used externally. You can make a great Cayenne Salve that soaks into the joints and helps arthritis when used over time. It also helps stop bleeding in wounds, as it is a strong hemostatic. You would think it would burn a deep cut, but in actuality, I have reports that it helps the pain after the initial OUCH, and quickly stops bleeding. You can find out more about using to treat wounds in this article on how to stop bleeding quickly. Yummy Cinnamon---This is one of my favorite spices. It's so delicious in lots of foods, and on top of that, it's an amazing medicinal herb! It's been used for years to support the glucose levels in people who suffer from Type 2 diabetes. Just use a teaspoon a day! Try it in your coffee, add it to tea, or even toss some into your cereal or use in cooking. Cinnamon also helps keep triglyceride levels in check and may help lower the bad LDL Cholesterol. For illnesses, Cinnamon is warming and stimulating, and it helps break up phlegm. Here is a recipe using Cinnamon to make a decongestant that REALLY works! When purchasing Cinnamon, be sure to buy the Ceylon Cinnamon. The kind you find in the grocery stores is generally a variety known as Cassia, and although it tastes like Cinnamon, it's not the same thing. (The link in this paragraph is to Starwest Botanicals, which is where I purchase almost all of my herbs. Cloves are...Uh-Mazing! Cloves were prized and sought after during the days of the Spice Trade. Its powerful anti-microbial and anti-fungal properties make it a useful spice for supporting the immune system. Clove essential oil is often used as a deodorizer and disinfectant. When used to soak your feet, clove oil may help alleviate athlete's foot and toenail fungus too! Cloves are well known herbs for use in dental emergencies because of the health benefits they have on the gums as well as the numbing quality of the oil. In fact, I just had a crown come off---guess what I used for the pain until I could get to the dentist? Clove oil! Just dab a bit on the painful area, and it really helps relieve the pain! Fennel seeds are delicious! They are also exceptionally helpful for your digestion. Here is an article with great ways to use fennel. Fennel is an aromatic herb, and the whole plant is useful. Check out this article for more information on foraging and using Fennel. For cooking, fennel is great to use with fish, eggs, breads, and certain sauces. 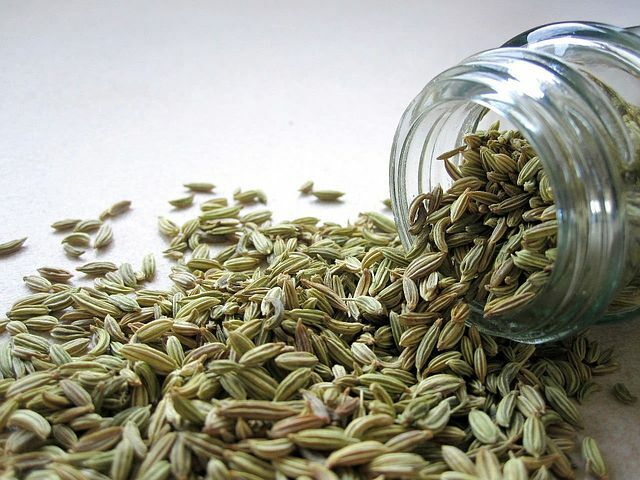 For using as medicine, Fennel is an absolute MUST to have around. In my opinion, Fennel is one of the best digestive aids you can use. So--if you experience flatulence, bloating, nausea, or other intestinal or stomach upset, drinking a Fennel Tea can really help a lot! Fennel helps clear phelgm and excess mucus from the body, too! So if you have allergies or are getting a cold, try using some of the delicious seeds in your cereal or other food. Fennel is well-known for helping stimulate milk-production in nursing mothers, too! Taking the powdered herb is the best way to take Fennel for this use. If you don't have any Fennel around, you can substitute its close relative, Dill. Have you ever wanted to know how to blend your very own teas personal for you? In this eBook, you'll learn how! Plus, I've included some of my most popular and favorite tea blend recipes to help get you started! Garlic, like onion, is used worldwide for flavoring and is a traditional useful medicinal herb in most cultures too. Garlic is a powerful anti-microbial and anti-fungal, helping get rid of colds and boost the immune system. It's also thought to lower cholesterol and enhance metabolism, since it is a warming and stimulating herb. Did you know taking garlic internally (often and a lot) can help rid the body of parasites and worms? Garlic is absolutely an herb everyone should be using on their food liberally every single day. If you are worried about dreaded garlic breath, then simply chew some parsley or fennel seeds after eating! Here is my recipe for Fire Cider, an extreme immune system booster, that uses fresh Garlic. Get started on it now, and always have it on hand---you won't be sorry if you start drinking a shot a day as a tonic! Ginger should seriously be in all households. It's not only delicious, being used in desserts, candies, curries, and all kinds of foods, but it packs a powerful medicinal punch too! I love to use Ginger in creating delicious ferments, too! 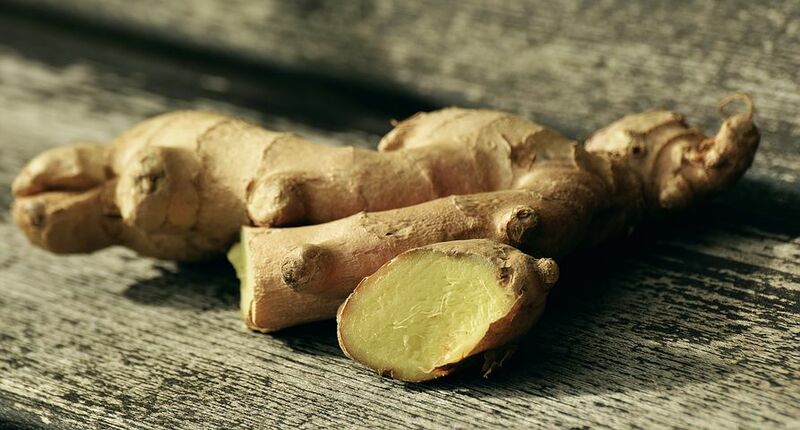 Medicinally, Ginger is a powerhouse herb. It's an immune-boosting herb (found above, in the Fire Cider Recipe) as well as the Decongestant Recipe. It helps clear out your sinuses, soothes a sore throat, is great for the respiratory system, is warming and stimulating. Because of its warming properties, it's great for treating fevers too. Try soaking in a bath of Ginger Water---just powder up the Ginger, or buy it that way, and sprinkle about a quarter cup into your bath water. Ginger is a great addition to Cayenne in terms of helping soothe sore joints and muscles. I always add a bit of Ginger oil to my Cayenne Salve! Ginger is an excellent healing herb that is found in most kitchens these days. The powdered ginger is just fine if you don't have fresh ginger available. Marjoram is a much lesser known herb than say, Oregano or Thyme, to which it is close related. I am adding it here because of my experience using Marjoram essential oil: It has worked absolute WONDERS to lower my blood pressure and relax me throughout stressful days at work. Seriously. Try this. Here's an article about Marjoram that you may enjoy! Marjoram has many of the same properties as Oregano and Thyme: It's anti-microbial, expectorant (clears mucus), and helps boost the immune system. The biggest difference is that Marjoram is an absolute master at mild sedation. It helps soothe and calm anxiety without putting you out! Isn't that great? It's just what I need! I use this oil about three times a day on my chest. I can tell the difference when I don't. Yep. It's also delicious in your cooking. It's not as strong as Oregano, but has similar flavors--just a bit softer. I recommend giving this amazing little leaf a try! Oh, I could SO smell Peppermint all the time! The volatile oils in the leaves wake you right up! Besides being a cooling flavoring, it is very calming to the stomach and overall digestive tract. Some researchers believe it may even help with Irritable Bowel Syndrome (IBS) and Crohn's Disease. It's that great for your gut! To use for digestion, just make a nice tea from the leaves. Besides all this, Peppermint tastes wonderful. I love to use Peppermint essential oil when I get hot flashes or when I'm just plain hot. It really does help cool the body right down. It's also great for headaches, in my personal experience. I just dilute a bit of the essential oil in a carrier oil (like almond oil) and rub a small amount into my temples. Works like a charm! Peppermint leaf is also one of the herbs I just love to add to my herbal tea blends--especially in the summer time. I get my medicine, tonic, and a soothing, cooling uplift all at once! Can't beat that, right? Oh, the evergreen, woodsy, spicy scent of Rosemary makes it a wonderful enhancement to so many strong tasting dishes--especially red meats. I love Rosemary for many reasons: It's lovely, smells so beautiful, chases bugs away, and it's great for your mind! Yep! Rosemary is one of the herbs that works wonders for your memory and alertness. In fact, I think you should never eat or use Rosemary oil too close to bedtime--you may not get to sleep. It works that well for improving alertness. But besides helping with being more alert, Rosemary, used over time, is wonderful for supporting your brain function and memory! Rosemary is uplifting and also helps your circulatory system! In fact, Rosemary essential oil is one of the ingredients in my Cellulite Oil! You can find out everything you need to know about rosemary, including the folk lore, chemicals, how to grow it and use it for your health. According to Dr. Axe, Thyme is great for your throat, heart, and mood! Thyme may help lower blood pressure, improves circulation, and soothes a sore throat too. Just make a Thyme tea and gargle with it several times a day. That sore throat will be gone! In addition, it is yet another immune boosting herb, thanks to its anti-microbial properties. Did you know you can infuse Thyme in Honey? Yes! Just add a few dried or fresh sprigs to your honey in a small jar. Let sit for about four weeks in a sunny window, and you will have the most delicious and medicinal honey to add to your teas! Adding a few drops of Thyme oil to your cleaners will add an extra disinfecting power! My neighbor and friend drinks his version of Wellness Tea daily. He grows all of his own herbs and Thyme is included in this tea! I need to get the recipe from him, and when I do, I will share it. I swear, that man is NEVER sick! :-) Thyme has expectorant properties and will help to relieve excel phlegm. At any rate, I love Thyme. I love the tiny leaves, the pungent scent, and of course its culinary and medicinal benefits. You know what? It's also SUPER easy to grow! Thyme should be in everyone's kitchen window! Well, this bright yellow herb (when powdered) is just absolutely amazing! Besides being tasty and one of the main spices in Indian and Asian foods, Turmeric boasts anti-inflammation powers that are out of this world! It's also a great source of natural anti-oxidants and is thought to boost and enhance the body's use of these anti-oxidants for anti-aging and anti-inflammation. A friend of mine began using Turmeric daily without any other supplementation, and she swears her inflammation decreased dramatically. I have heard that to increase and maximize the benefits of Turmeric, combine it with Black Pepper. This makes sense, since Black Pepper is stimulating. Here is a delicious recipe for my Golden Beet & Turmeric Kvass! Give this a try for a drink jam-packed full of probiotics, nutrients, and anti-oxidants! My advice is to try to stay out of the grocery stores when purchasing your herbs. Why? They are often stale, old, and the companies are not into stronger medicinal qualities. Now, if all you have is grocery store spices, then by all means---use them up! The links in this article are to Amazon, and are mainly for bulk herbs, which are generally fresher. Personally, I purchase my culinary and medicinal herbs from Starwest Botanicals because they have many options for quality and quantity, and their shipping is quick. If you are like me, you'll love browsing their many options! Starwest is also one of the places I purchase my essential oils. Want to stay healthy this Cold & Flu Season? Take a look at my latest eBook, Natural Cold & Flu Care. Packed with recipes, remedies, and herbal information to keep you healthy and get better fast! If you have a well-stocked spice cupboard, you actually have medicines at your fingertips! I hope you'll give these herbs some well-deserved attention in home remedy experiences for you and your family. I think you'll be pleasantly surprised! And there are lots more over on the blog! Head on over and do some browsing around! If you are interested in learning more about herbalism and using herbs medicinally for yourself and family, I love to recommend The Herbal Academy of New England. They have given me so much useful knowledge! Have a beautiful day! Hugs, Health, & Self-Reliance! DISCLAIMER: I am NOT a medical doctor. In no way, stated or implied is any statement in this article meant to imply any cure, diagnosis, treatment, or prevention of any illness. My statements are simply due to my years of study and experience. Please consult a medical professional for medical issues. These statements have not been evaluated by the FDA. Please see my full disclosure. Mar 9 How to Dye Your Hair with Henna & Indigo....Natural, Chemical Free, Inexpensive, and Beautiful!